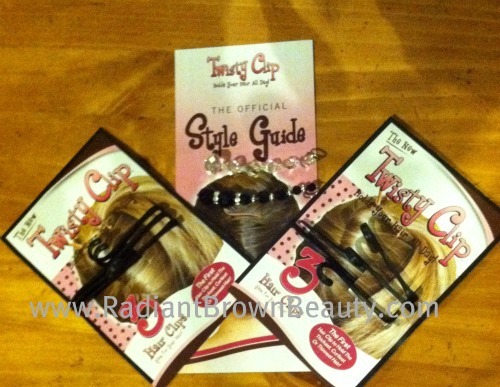 Last week I shared a new hair care buy from Bask Beauty and this week it’s all about accessorizing. Remember, I mentioned how I always get caught out there when a new product is reviewed or advertised? Well, darn those As Seen On TV Commercials! 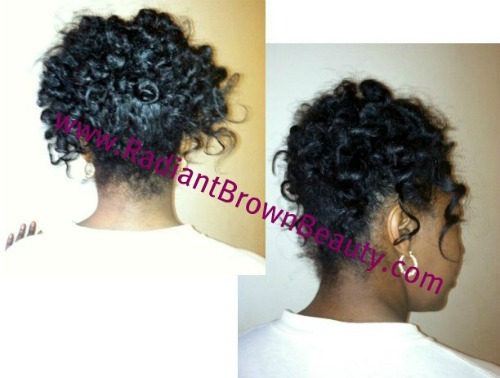 Protective styling is now much easier. Instead of using tons of bobby pins or risking your hair getting caught up in a banana clip, there’s Twisty Clip (also known as the Twist ‘N Clip. I think they changed the name because on the commercial it’s clearly Twist ‘N Clip but on the package it says Twisty Clip so…) to the rescue! I ordered a set of these a few weeks ago and can’t get enough of them. Your hair is left secure in place for the full day. Cool beans. I have fine hair but moderately thick hair and the Twisty Clip certain delivers on its promise to hold hair all day and night. I absolutely love the simplicity of this item. 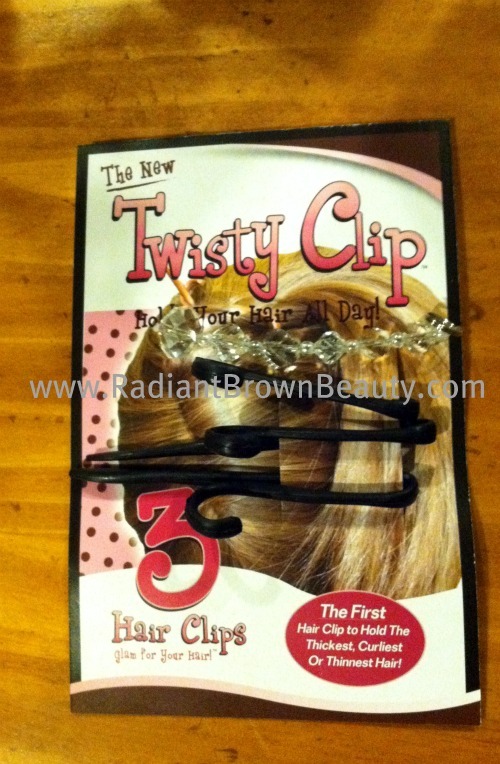 The Twisty Clip holds hair that’s thin and hair that’s thick. It secures hair in place with it’s simplistic design that clips the hair with a closure that’s like a safety pin, just safer. 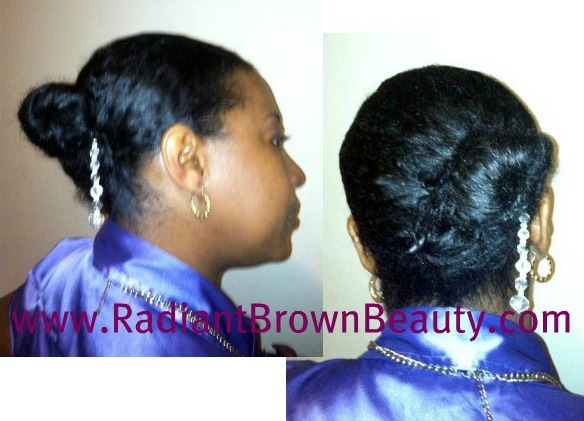 Love all your updos with this Michelle!! I meant to comment the other day when I read this, but you know what a pain it is on the phone. I saw the infommercial for this yesterday, so it reminded me to come back and comment!! Really cute!! I’ll have to hit one of those, “As Seen on TV” stores or Harmons, which often has these infommercial items!! Good looking and being the guinea pig;)!! And, I love the added bling!! Thanks Shelli. I LOVE accessories! hair and otherwise. I just can’t get enough of them!